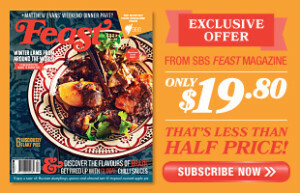 I’m excited to have a feature article in the August issue of SBS Feast Magazine, and to have a chance to share a bit about the dream behind my new restaurant, Le Grand Cirque. Le Grand Cirque, in Melbourne’s South Yarra, is about entertainment, simple food from the heart, laughter and fun — all under one roof. It’s food I’d cook for my mates and food I want to eat, it’s a menu for everyone on any day of the week! The article also features a few of my recipes including Pork Terrine with Prune and Armagnac Jam; Snapper a la Provencale en Papillote; Onion, Anchovy and Olive Tart; Moules a la Bretonne, and a classic Creme Brulee with Salty Caramel. 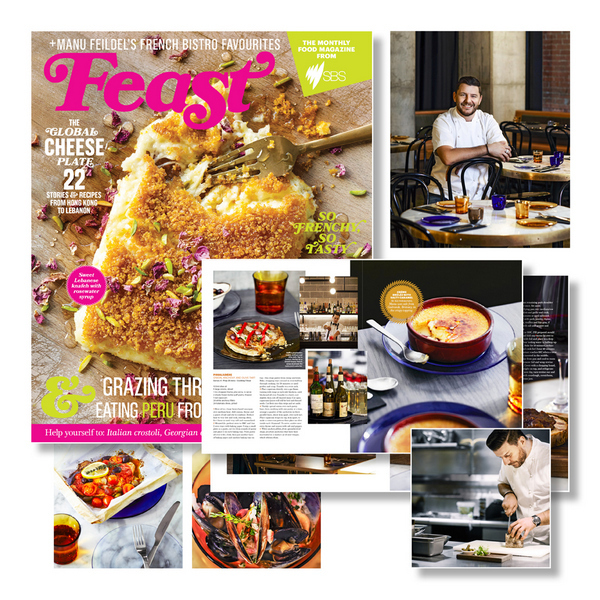 You can find the August issue in newsagents now but as a special offer for readers and fans, Feast is offering a Chef’s Special subscription at over 50% off the cover price. You can find out more about the offer and subscribe here, and I hope to see you at Le Grand Cirque soon!